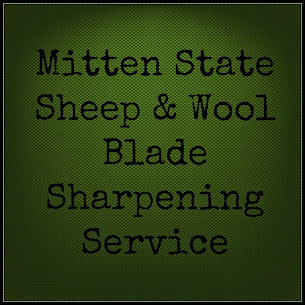 Mitten State Sheep & Wool : Tunis Babies, Any Day! We are getting ready for our first red heads on the farm! We haven't had winter babies in a long time. Of course the year we get talked into early lambs, it is the coldest winter we can ever remember, with consistent below zero temps! There are three ewes tucked away in the barn getting the VIP treatment. Lambing supplies on hand. Anxiously, awaiting the arrival of our first lambs of 2014. Thankfully, the rest of the ewes are not due until April! Anyone else waiting for Farm Babies?? Good luck with your calving! I sure do hope it gets a little warmer before they lamb. I may be surprised with some lambs soon. 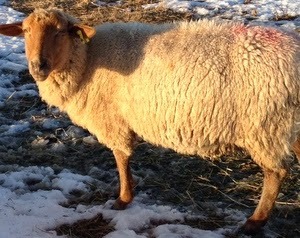 There are about 4 ewes that are looking a little rounder. Of course they are hair sheep. I can't really tell about the wooly sheep yet. I sure hope they wait a few more weeks at least. All the goats though are for sure the end of March and April. I hope they wait for another week! It is SO cold right now. These girls look huge!! Expecting at least twins, but you never know. Good luck with your lambing and kidding! Sandra, we used to have sheep and some of the babies came at the coldest time, but all did well. It was amazing to me to be drying ice off a newborn lamb, and yet they thrived. Since you have everyone tucked in the barn, and are being vigilant, I bet they do great. I can't wait to see the pictures. Good Luck with your "red head babies!" Hope all goes good with lambing and the weather conditions, Sandra.